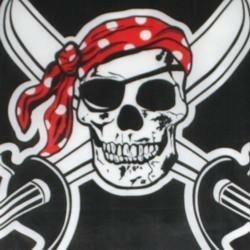 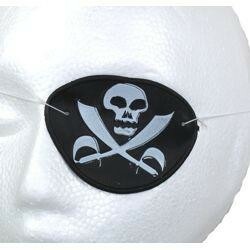 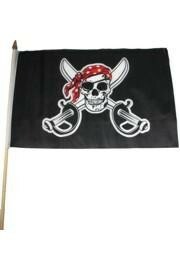 A black eye patch with skull and crossed swards is an essential attribute of any pirate costume. 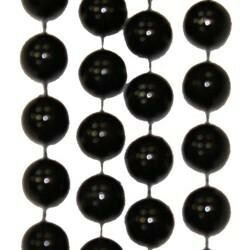 A pack of round black clear coat beads. 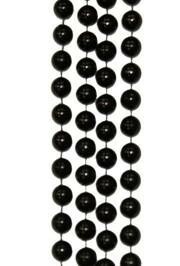 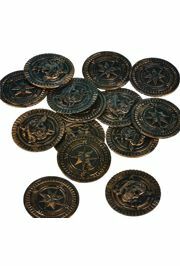 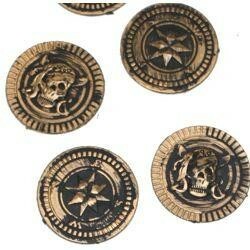 These beads are great for Mardi Gras and Gasparilla parades and also for Halloween. 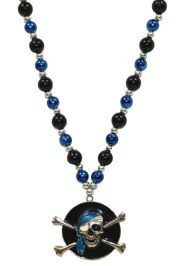 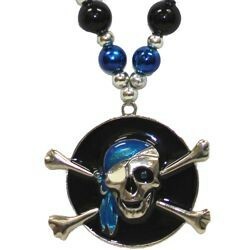 A 36in hand strung necklace with blue and black beads and a metal enamel skull/ pirate medallion. 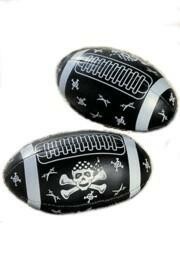 These are perfect for parades, parties, and more. 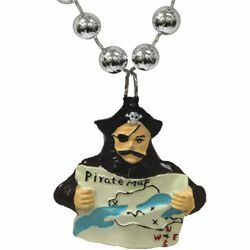 The central medallion on this necklace is of a pirate ship captain holding a treasure map. 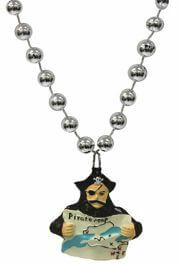 It is a great necklace for Mardi Gras and Gasparilla parades. 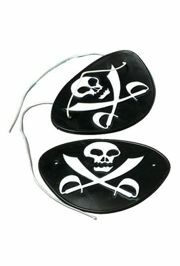 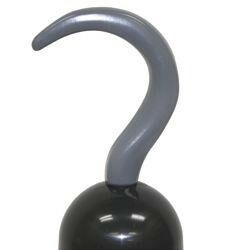 A hook is the necessary part of Captain Hook masquerade costume during Gasparilla pirate fest. 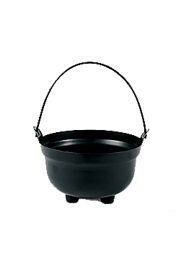 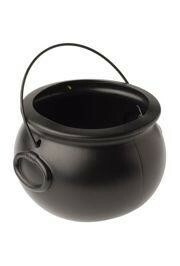 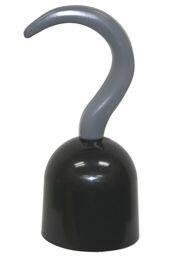 One dozen bag of black foam footballs with skull and crossbones design.